Windows 10 offers a set of tools to help users back up and recover their files. 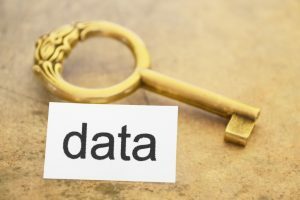 If implemented properly, these tools will prove to be very helpful in the event of unexpected data loss. We’ve covered the File History tool in a previous article. File history saves different versions of files from certain folders at a regular interval and stores them away on external hard drives or network locations. 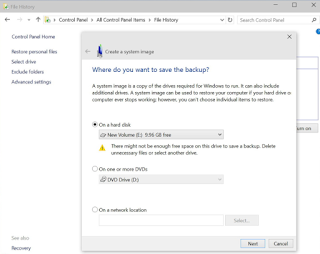 In this article, we are going to take a look at other backup and recovery tools in Windows 10. OneDrive is an online storage that Microsoft offers. By storing files in OneDrive, you create a duplicate in Microsoft’s cloud and it can be accessed on other devices. One drive works just as a normal folder. You can simply drag your files into a OneDrive folder to move it into OneDrive cloud. If your computer crashes and all files are gone, you just have to log in with your Microsoft account and your OneDrive files will be available for you in File Explorer. In such cases, you will need to sync your local OneDrive folder with the Online version. Although these files may appear in local OneDrive folder before the sync, they are just thumbnails until you successfully download them. Once a file is downloaded to your computer, it becomes available offline, meaning it is now stored on your local drives and you can access it even without Internet connections. Unlike File History and OneDrive that makes copies of certain selected files, system Image Backups allows you to create an entire image of your PC at a particular state, including your operating system, installed applications, settings, and all other files. You will need external storage devices such as an external hard drive to store the backup. You can create system image backup by navigating to Control Panel > All Control Panel Items > File History. In the left pane, choose System Image Backup. You can include other drives into the backup file as well. The total estimated amount of image space will be displayed at the confirmation screen. Depending on your system and files included, the creating of the image file may take from 20 minutes to several hours. When the process is done, place your storage device at someplace safe to avoid theft and damage. When it comes time to restore the image, you will be able to use the System Recovery Options to get the system and your files back. 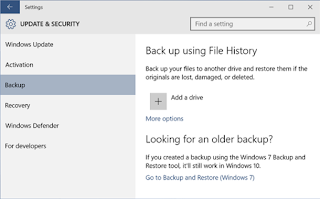 File History is one of the backup programs Windows 10 offers. It saves different versions of files onto your selected hard drive. However, this feature somewhat limited, as it only backs up files located in user account’s libraries like Documents, Music, Pictures, Videos, and Desktop folders. If you have files or folders elsewhere that you want to be backed up, you can add them to one of these folders. Rather than applications and programs, it backs up the files you personally created. File History automatically makes a copy of every file in these folders. It makes your backups easy to view and restore, giving you the chance to go through different versions of your files and folders, comparing them with your current versions. You can use it to restore your files if you ever lose them, or roll back a file to a preferred older version. H Data Recovery Software is one of the most professional and well-received data recovery software out there in the market. It features 6 different data recovery modules that can cover most of the data loss scenarios. You can recover files from emptied recycle bin, re-formatted hard drives, corrupted camera SD cards, deleted partitions, no matter the what the file formats are – images, videos, audios, documents, emails, and others. What’s more, you can download the software and trial it for free so that you can preview recoverable files and evaluate the situation before you make any purchase.